A motorist who led police on a chase from the Tierrasanta area to the Mira Mesa area was arrested Thursday after crashing into a fence and allegedly injuring two officers. 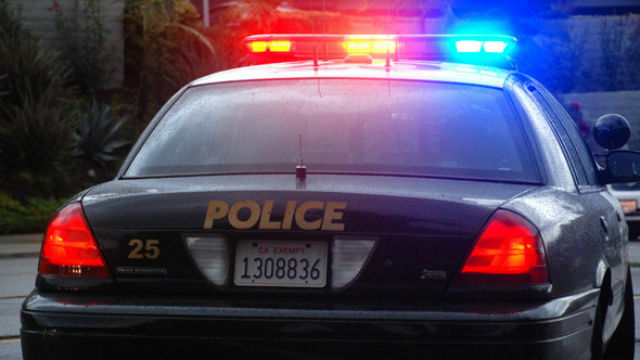 Officers were dispatched to a residence in the 5800 block of Portobelo Court shortly before 11:25 p.m. Wednesday for a man suspected of assault and vandalism, San Diego Police Officer Steve Bourasa said. When officers arrived, the man jumped into a pickup truck and fled the area, Bourasa said. As the driver continued northbound toward Miramar, officers deployed a spike strip, Bourasa said. The man continued driving with damaged tires and crashed into a fence around 12:20 a.m. on April Leigh Terrace, located off Calle Cristobal in Mira Mesa, Bourasa said. The driver struggled with officers as they attempted to arrest him following the crash, Bourasa said. Two officers were treated at the scene for minor injuries they suffered in the incident, Bourasa said. After he was taken into custody, the man was transported to a hospital for treatment, Bourasa. The extent of his injuries was not immediately available. The 24-year-old man, whose name was not immediately released, was expected to be booked into county jail on suspicion of evading police, vandalism, resisting arrest and multiple counts of assault on a peace officer, Bourasa said.